Edward Bauman, M.Ed., Ph.D. (University of New Mexico), is the Executive Director of Bauman College Holistic Nutrition and Culinary Arts. He is a ground-breaking leader in the field of whole foods nutrition, holistic health, and community health promotion. 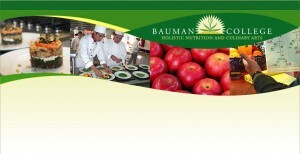 After three decades of in-depth study of worldwide health and nutrition systems, Dr. Bauman created the ‘Eating for Health’ nutrition system which is the foundation of the Bauman College Nutrition and Natural Chef Training Programs. In addition to his Director responsibilities, Ed works closely with the Academic Dean on ongoing curriculum updates. He also facilitates the bi-annual Bauman College Vitality Rejuvenation Retreats in Northern California. Dr. Bauman is currently an adjunct faculty member at JFK University in Pleasant Hill, CA. He is the past president of the National Association of Nutrition Professionals (NANP) Board of Directors. Dr. Bauman is an active member of CAN-C, the Sonoma County Community Activity and Nutrition Coalition. He is working to bring the Eating for Health approach to community agencies and clinical health care settings, both locally and nationally.